Having just bought this yesterday, along with Somewhere In Time, for the princely sum of £10 the two, it has brought back happy memories. I had this on cd years ago but it was a second hand copy, and quite scratched. Now, I rate this, along with 'Somewhere In Time', as the best Maiden albums (though I have to say I haven't heard anything by the band since Dickinson returned to the fold). This album has many progressive elements to it, and the guitars weave in and out behind the vocals, allowing Bruce full reign with his rather powerful and distinctive voice. He is in fine form here, from the opening almost spoken intro, over a gentle acoustic guitar, right through to the very end, were we have the almost spoken outro, again over gentle acoustic guitar. A court jester comes to mind at these two points, though the image of Dickinson dressed as a harlequin, shaking his bells, is quite an incongrous one! Every track is a delight and is, if I may use the word in a heavy metal context, catchy! 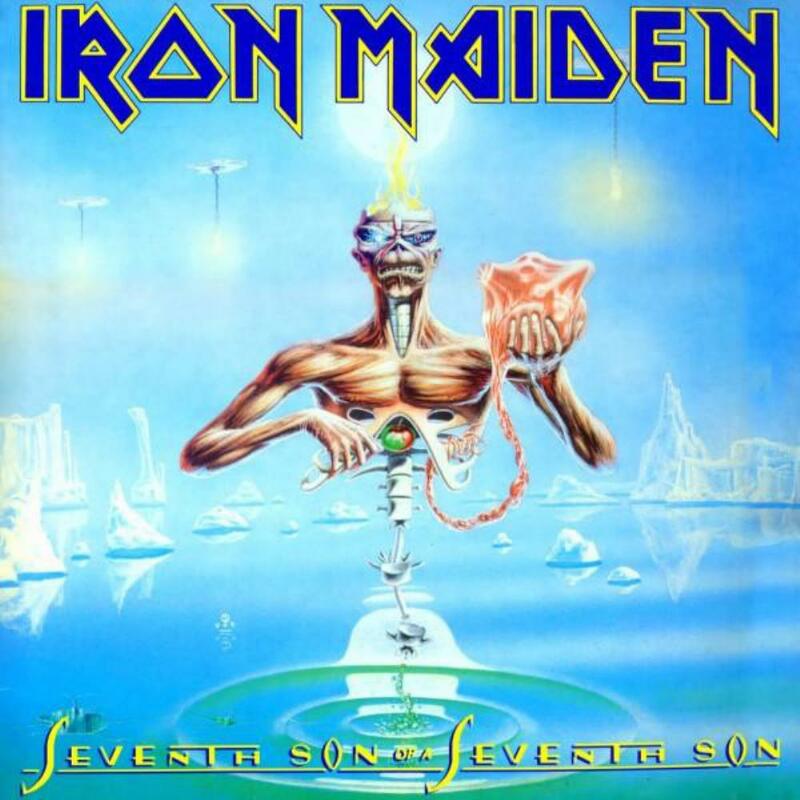 Both of the singles, 'The Evil That Men Do' and 'Can I Play With Madness' are hummable, but my favourite track has to be the epic title track, 'Seventh Son Of A Seventh Son', with its middle section, where Bruce speaks in a quiet, yet menacing voice, over the slowly building guitars in the background, a particular highlight for me. The brief use of acoustic guitars at the end of 'The Prophecy' is also a welcome break from the more standardised riffing and soloing that impregnates most of the record. A wonderful album that caters to the heavier side of my tastes, but without ever becoming too aggressive or unharmonic. Not totally prog, but still worth four stars.